An excellent choice of double door display chiller where you don't need to have a light canopy for branding. It gives a little more interior height and makes for a cleaner looking display chiller. 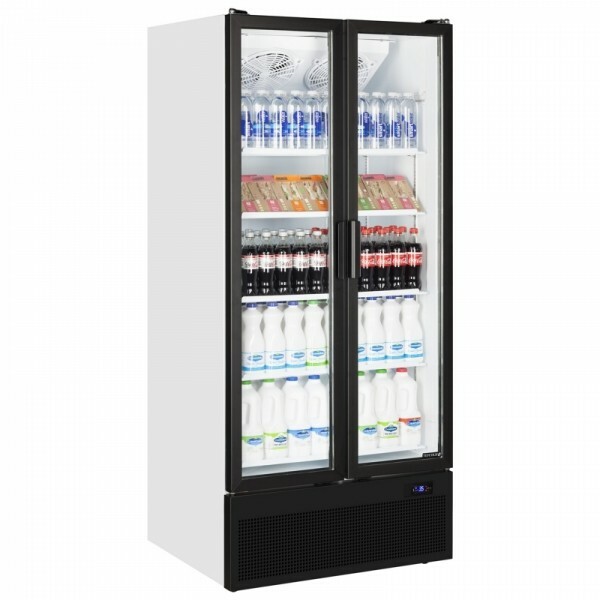 With Tefcold;s build quality and reliability as standard this cabinet would be ideal for any shop, cafe or convenience store. Standard warranty: 2 years parts only. The information below is specific to this product. Delivery information for other products will vary so please check if ordering other items. If you have any delivery requirements that are not listed or if you require more information, please call 0161 442 9174 and we will do our best to help. Any restrictions on site or with access to site must be stated on order. Note that driver(s) will not lift items through windows, over counters, up/down steps/stairs or similar restrictions. Charges may apply for services outside of our normal delivery listed above. Subscribe to the Corr Chilled mailing list to receive updates on new arrivals, special offers and other discount information. 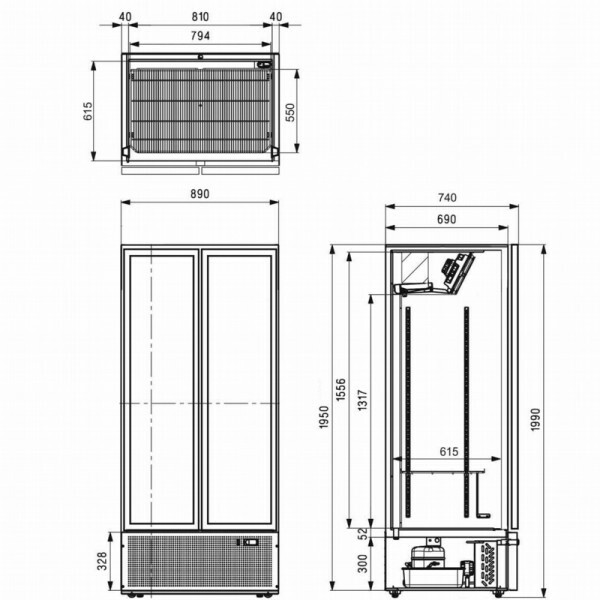 Corr Chilled are a UK supplier of commercial refrigeration, catering equipment, food service equipment and much, much more. We aim to supply the best products alongside friendly and efficient customer service. Catering Equipment, Commercial Refrigeration and Catering Equipment in Manchester. Copyright © 2018 by Corr Chilled. All Rights Reserved.